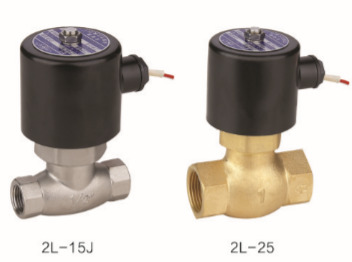 2L series 2/2 pilot steam solenoid valve, thread size range from 3/8’" to 2", withstand the high temperature of 180 centidegree, because of the control of steam, so called steam valve. Accordingly,,the working pressure is enhanced up to 15 bar, the oriffice is also maken bigger to increase the velocity. 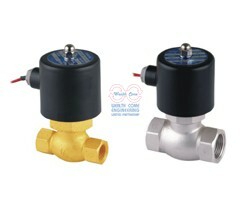 With the stable performance, 2L valve is widely used in the field of steam control all over the world. ต้องการข้อมูลเพิ่มเติมเกี่ยวกับ โซลินอยด์วาล์วอุณหภูมิสูง Solenoid Valve 2L(US) High-Temperature ?